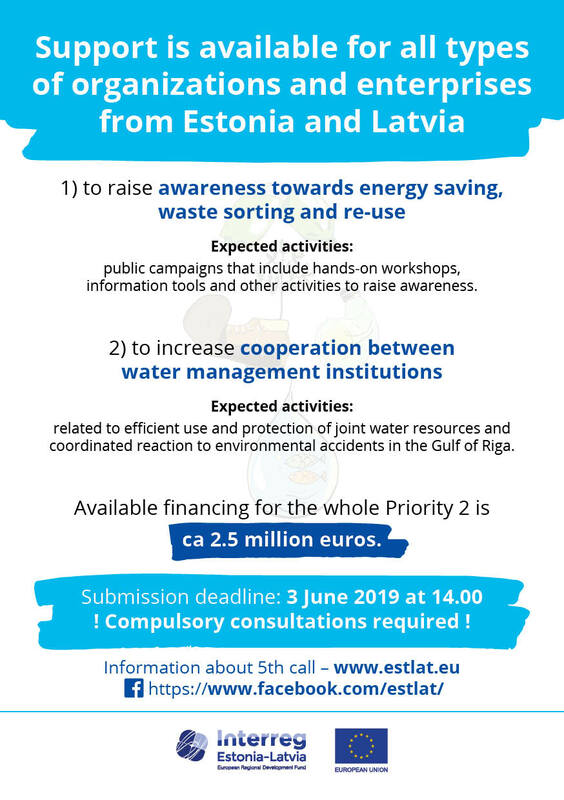 5th call for proposals is open from 1 February till 3 June, 2019! SO 2.2 Increased awareness of energy saving, sorting waste and re-use, and more efficient management of common water resources.
! 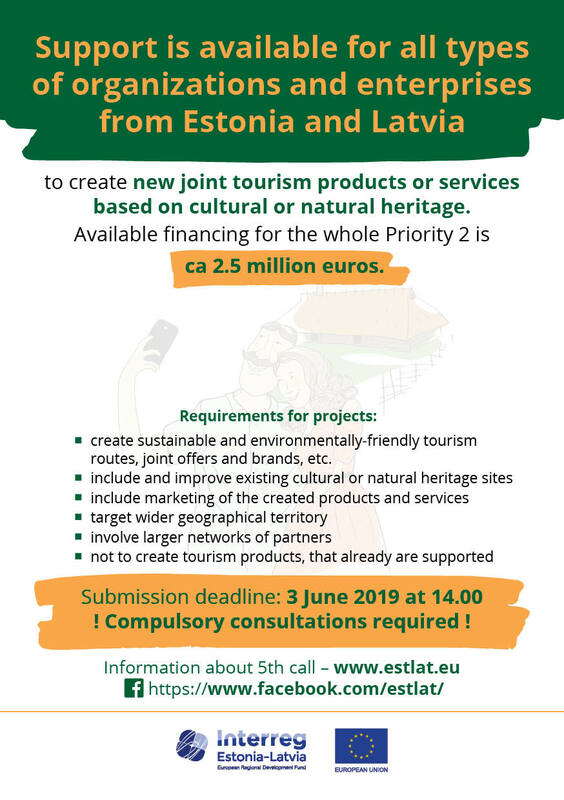 Please be aware that consultations with the Joint secretariat are compulsory before submission of project application (technical eligibility criterion nr 1). What qualifies as a consultation is described here. Examples of supported environmental awareness and water management projects. Programme manual is the main binding document for 5th call applicants. The project application has to be developed and submitted in the electronic monitoring system of the programme by 3 June 2019, 14:00. Please refer to the programme manual point 6.2.2.1. for detailed information about the assessment of project applications.